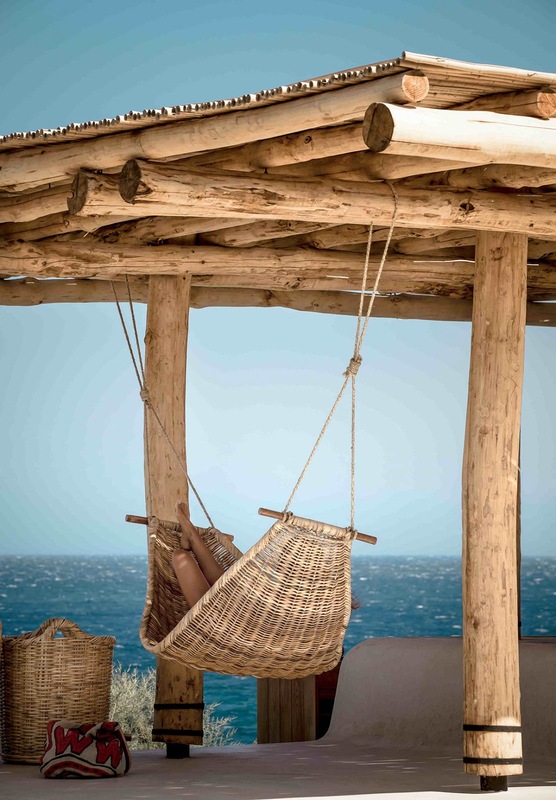 Can I just be sent there right now ? 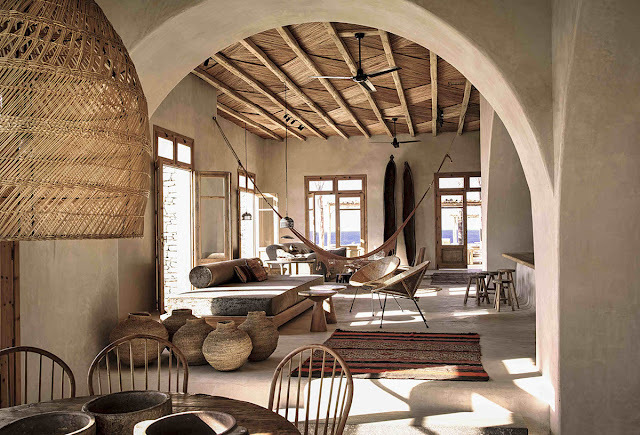 I love everything about this hotel ! 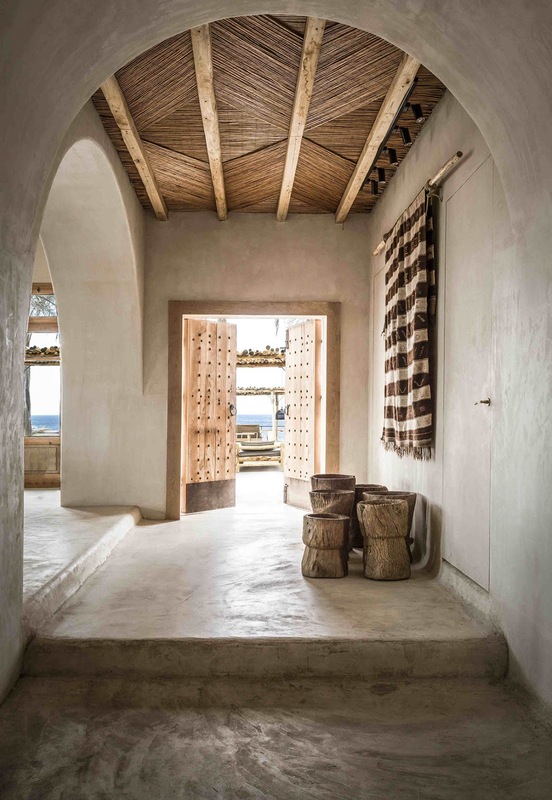 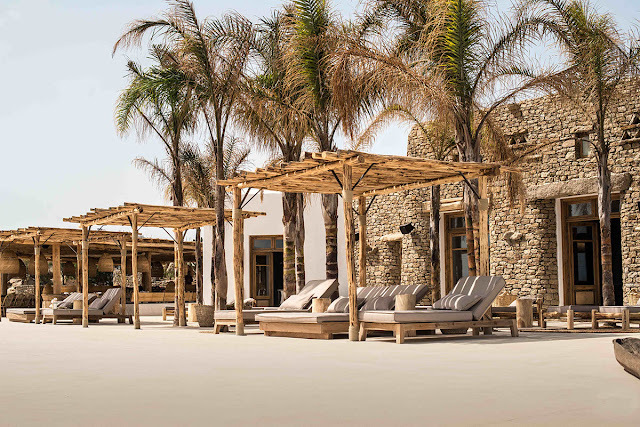 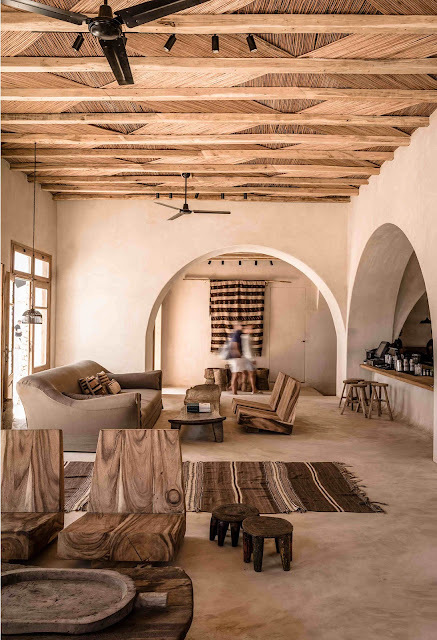 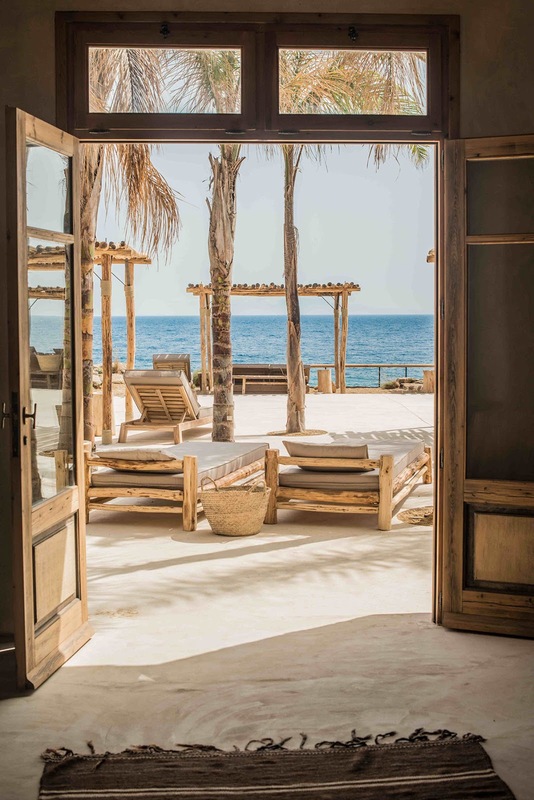 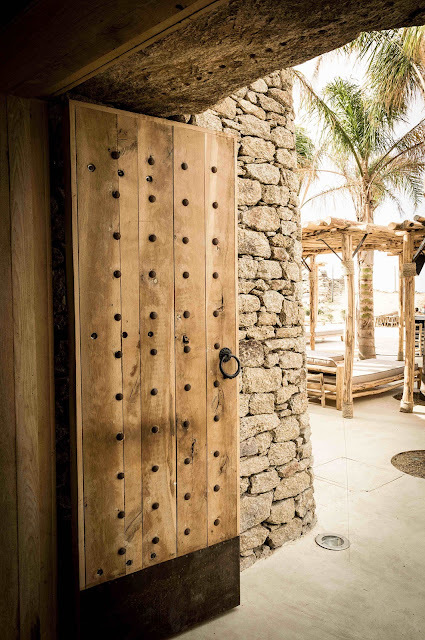 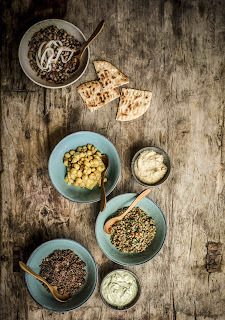 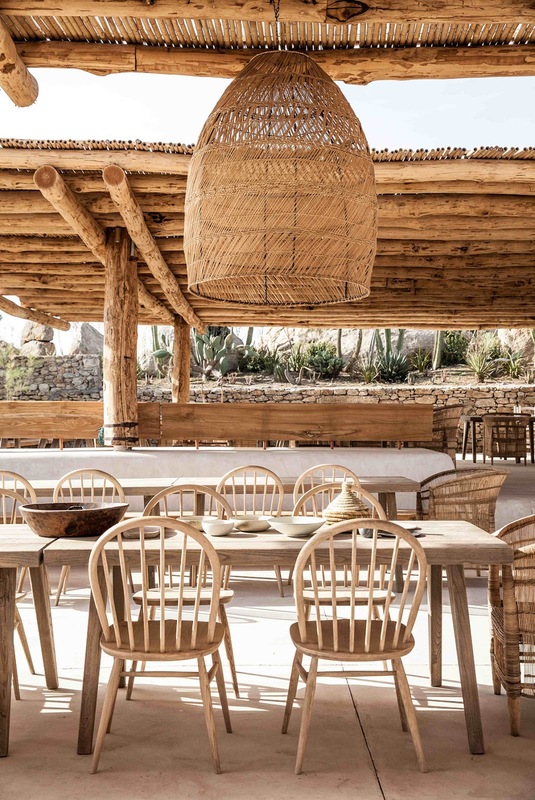 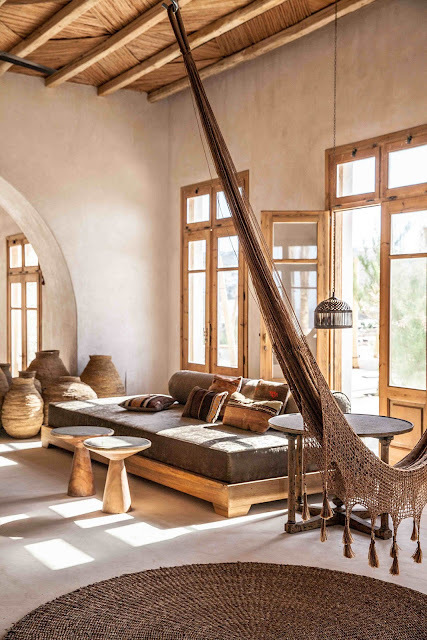 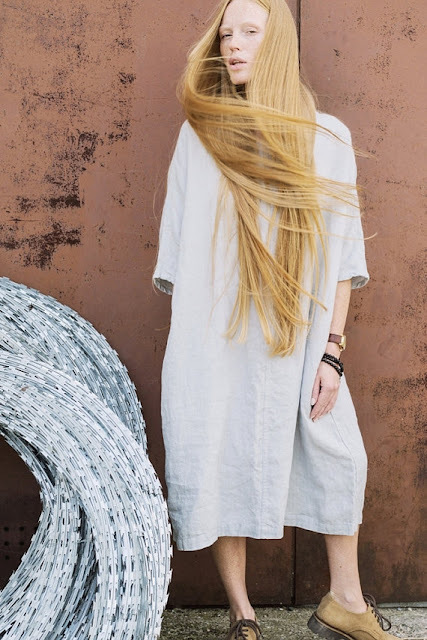 Less flashy than Nammos but slicker than Alemagou, Scorpios is the newest addition to the island's We had seen the nearby sister hotel San Giorgio but this new hotel has everything ready for the current boho nomad. 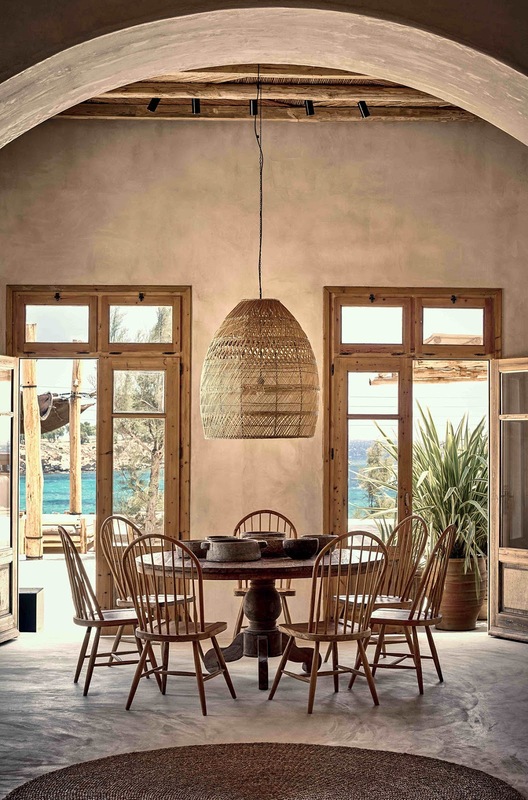 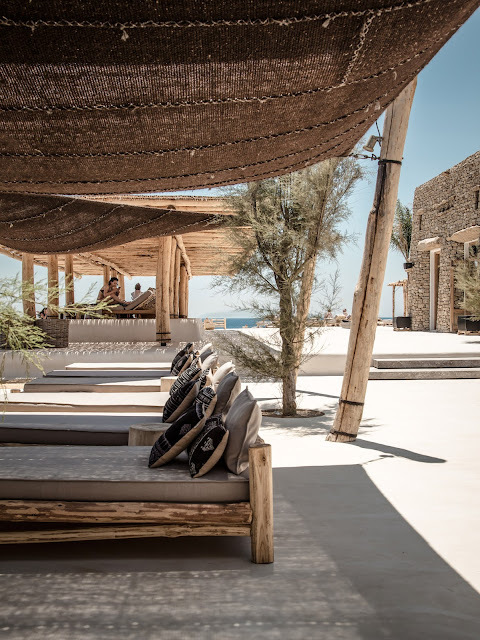 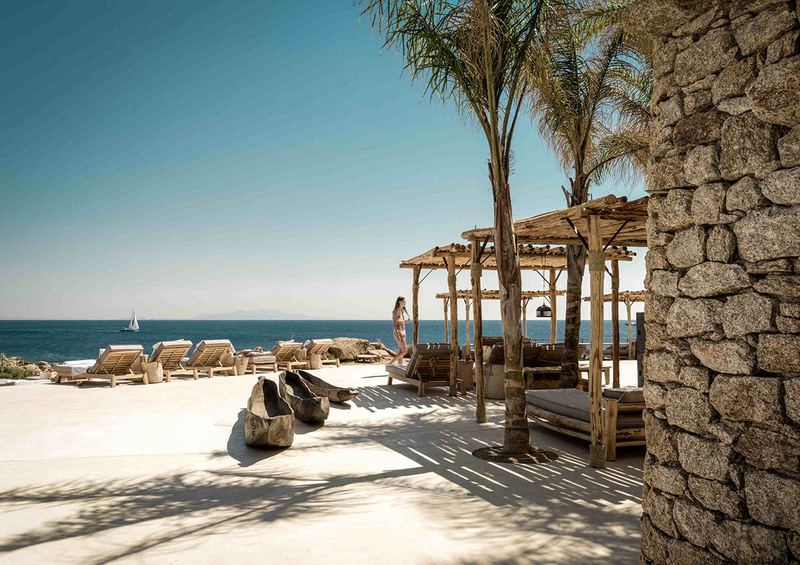 The beach bar is flanked by two bays (Kavos and Paraga), and the look - driftwood daybeds, wicker lampshades and terraces tiered by weathered stonewalls - is holistic chic. 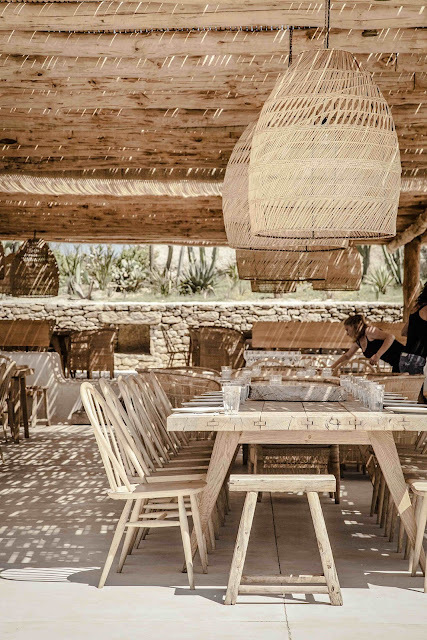 Tattooed waiters bring platters of chargrilled tomahawk steak with courgettes and mint. 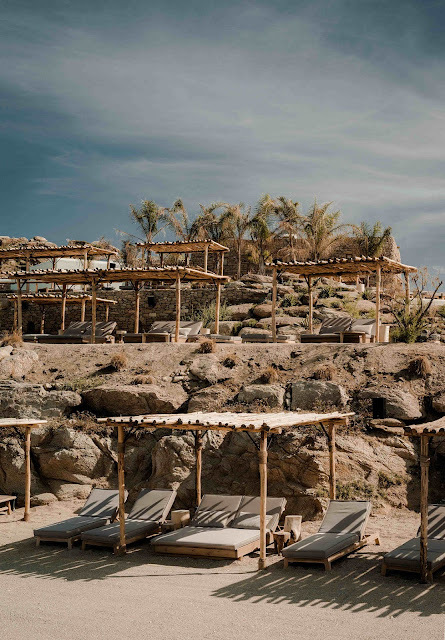 The party starts at sundown, with drummers in feathered headdresses and Yoruba priests spinning soul-jazz; it's a bit like Burning Man on the Med apparently. 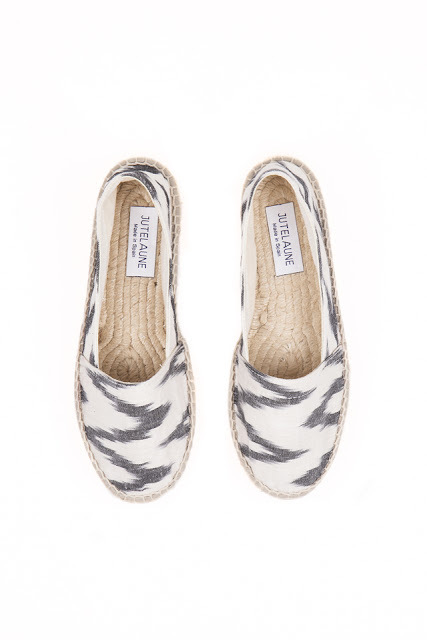 and a pair of espadrilles of course !